According to the study, epigallocatechin-3-gallate (EGCG), a biologically active component in green tea, does the work. The chemical is said to have antioxidant, anti-inflammatory, and heart protection properties that also protect against diabetes and obesity. To make the determination, researchers at Northwest A&F University, China, divided 3-month-old male mice into three groups based on diet. The control group was fed a standard diet, another group was fed with an HFFD diet, and the third group was fed with an HFFD diet and 2 grams of EGCG per litre of drinking water. For 16 weeks, researchers monitored the mice and found that those fed with HFFD had a higher final body weight than the control mice and a significantly higher final body weight than the HFFD+EGCG mice. After the experiments, they also found that EGCG could improve HFFD-induced memory impairment. 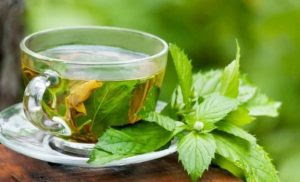 “Green tea is the second most consumed beverage in the world after water, and is grown in at least 30 countries,” said Xuebo Liu, a researcher at the college of food science and engineering, Northwest A&F University, in Yangling, China.